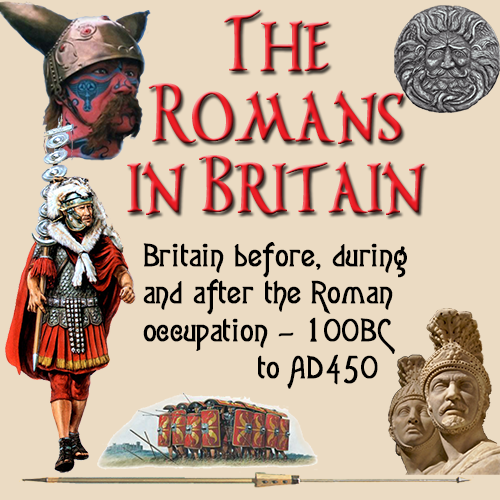 Within Falkirk District, along the route of the Antonine Wall, many interesting finds have been uncovered. Roman shoes, fragments of pottery, an iron axehead and an iron javelin are among the items on display in Kinneil Museum. A bronze strap fitting, possibly worn by one of the soldiers, is one of the most interesting items. At Bridgeness, in 1868, a stone 'distance slab' was found, and was subsequently presented to the National Museum of Antiquities in Edinburgh. A replica of the slab's inscription can been seen in Harbour Road, Bo'ness. Falkirk Museum Service hold an extensive collection of other finds, including pottery, jewellery and weaponry, and it is planned to display some of these items at a future date. From Kinneil, the Antonmc Wall ran westwards on the crest of the high ground A small part of the ditch can still be seen parallel to and on the north side of Polmonthill ski slope although it is far shallower than it was originally. 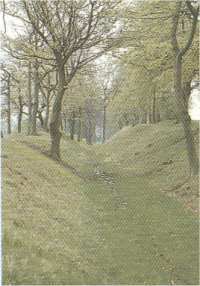 The ditch of the Antomne Wall can be seen in the grounds of Callendar Park. It runs westwards from the business park for about half a mile, and is still 6-10 feet deep. The wall itself survives for part of this length, as a low mound, set back from the southern edge of the ditch between two lines of trees. This is the best preserved of all the forts on the Antoninc Wal.l Built against the back of the wall, this fort was defended by turf ramparts, 20 feet thick on a stone base. Double ditches ran round the other three sides. Clearly visible to the left and right of the visitors car park, the ditch and rampart of the wall are particularly well preserved. In places the Antonine Wall still stands some 5 feet high.. The fort itself lies to the east, and would probably have provided barrack accommodation for about 500 men. 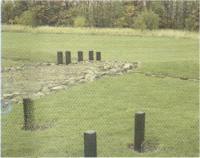 The rampart and ditches can be followed round the fort, and the overgrown and fragmentary ruins of some of the more important buildings can still be seen Over the causeway across the Antonine ditch, lies a series of pits, called 'lilia' these originally had a pointed stake at the bottom of each, and would have been concealed by branches to serve as a brutal trap for anyone attacking the fort.